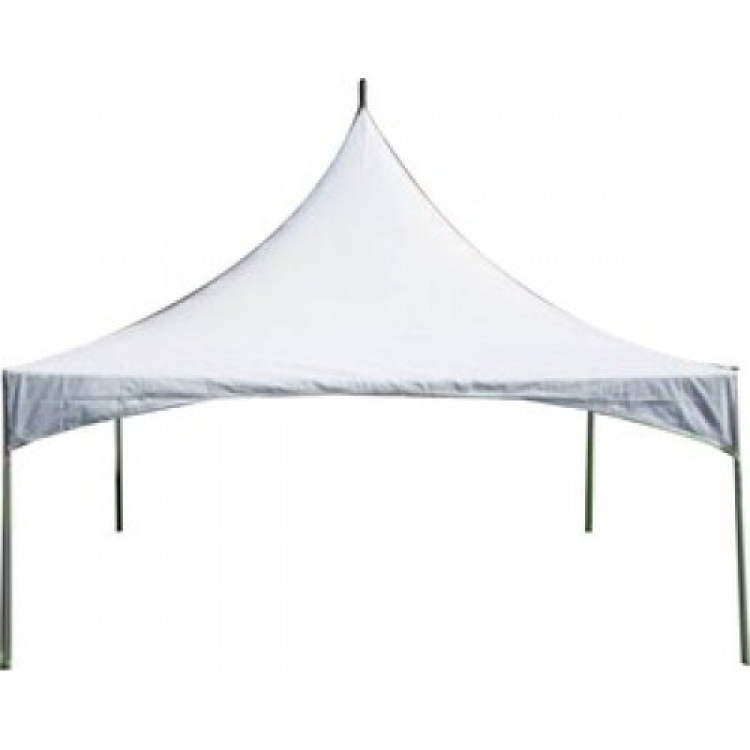 This 20'x20' high peak frame tent is set up using tension cross cable to support the center pole, no center pole on floor. This design provides a high peak elegant looking and clear open floor. 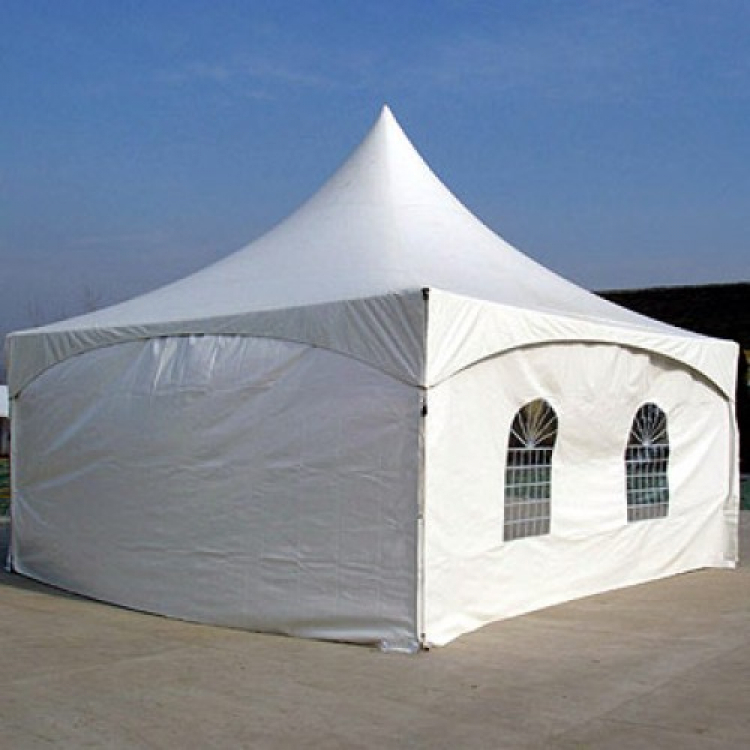 A 20'x20' Marquee Frame Tent accommodates 40 people for sit down dinners, 50 people for buffet style dinners, or 67 for stand up & cocktail style dinners. Need a bigger tent? Give us a call and we can provide you with larger sizes and discounted rates! 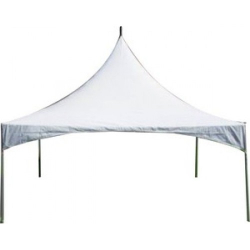 The tent walls can be added at $15 each. Price: $225.00 per 7 / hrs. Price: $225.00 per 3 / hrs. Price: $225.00 per 4 / hrs.